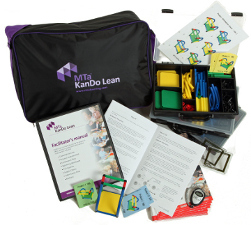 MTa KanDo Lean - An Experiential Lean Game. 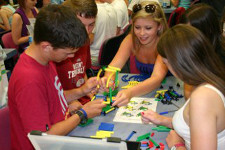 Learn about waste, continuous improvement, flow, 5S and more. Get people excited about lean! 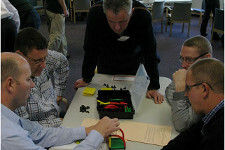 What will participants learn about lean? The key elements raised by each phase are listed under the tabs below. 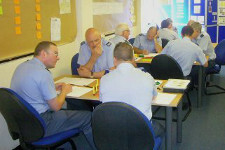 The number of phases completed and their emphasis can be changed to suit the needs of the participants. MTa Kando Lean is a 5 phase activity. Each phase presents new learning opportunities. Would it have helped if you had discussed business or order processing issues with the customer? If so, what would you want to achieve from these discussions? There is likely to have been a lot of waste during phase 2. What was wasted or caused the waste? Compare the work load in different areas. How well was it balanced? Were there any bottle necks or slack? If your customer demand quadrupled what are the advantages and disadvantages of: adding more people to existing work stations (and sub-dividing the work) or having several work stations working in parallel? 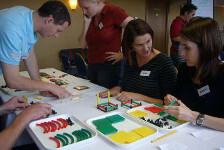 It focuses attention on participants place of work to see where and how lean processing might be able to help. Remembering your learning today, if you were able to design your work from scratch what are the most important points that you should keep in mind? I use the MTa KanDo Lean in most of my lean training courses, and it is always well-received and found useful by participants. I can't remember a single negative comment (once the full session is over - but some people get very frustrated in the first two phases!) As most course participants are from transactional and service industries, it's important to make the analogy between the KanDo physical assembly exercise and office-based knowledge processing. This has worked well. Call us or e-mail: contact details. Martin, Ralph or another of the team would be delighted to talk to you in more detail about KanDo Lean or take your order. We hold a stock (carefully calculated to ensure we're lean!) 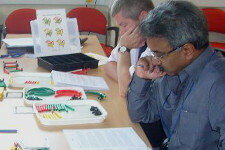 of all our training materials and orders are dispatched within 24 hours. We deliver worldwide.